Jul 21 Hosting a Karaoke Party Made Easy! Karaoke is an age old form of entertainment, loved by many. It allows you to sit back, unwind, listen to good music, sing your hearts out, and best of all, spend time with buddies. As a business owner, this is a fun sector to invest in. You meet all kinds of awesome people and you get to listen to good music (granted not everyone is a natural born singer). If you love music, starting a karaoke business can be a lucrative option. Follow music trends, and keep a variety of records for your audience to choose from. Get mics, good quality speakers, a digital karaoke system, and loads more equipment. Take a look at this article to have a better know how on the logistics to this business. Know your niche, whether you’re more towards rock, pop, techno or something else, depends on your preference, and especially on your target audience. Depending on your audience, you might be traveling a lot to cover events that require entertainment, or they may just come to you with friends, for drinks and fun. Cover all kinds of events, such as parties, bridal showers, and others that require entertainment. The venues you choose will dictate the kind of audience you’ll get, hence the music you choose. Setting up a bar, or even a restaurant with karaoke is a great idea. Food and entertainment go hand in hand! Whether you’re a hard rock cafe or cater towards children’s birthday parties or anything in between, your audience should be able to tell what kind of services and products you provide with just a glimpse at your posters and flyers. Decorations! Create an ambient atmosphere at your venue. Posters are a big help here. Get posters corresponding to the genre of music you’re most known for. Vintage posters work great at cafes and bars! Consider taking a look at these inspirational, funny and band posters too. That said, remember to have fun! 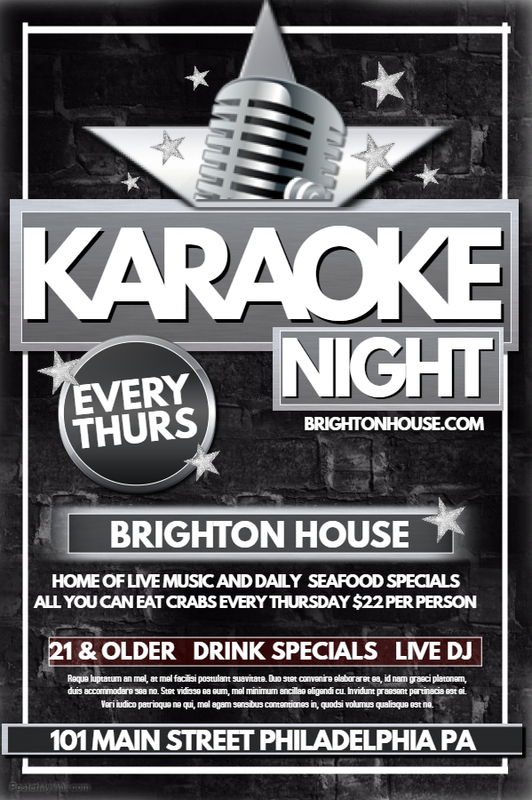 Hosting a karaoke event, or a DJ event is exciting, and the charged atmosphere can brighten up anyone’s night! We’re on social media! Stay updated on our latest deals, promotions and contests by following us on Facebook, Twitter, Pinterest or Instagram.